House Ways and Means Committee Chairman Kevin Brady (R-TX) and Ranking Member Sander Levin (D-MI) joined Senate Finance Committee Chairman Orrin Hatch (R-UT) and Ranking Member Ron Wyden (R-OR) in introducing the Family First Act, which ostensibly allows states to utilize federal funds for preventative and supportive services while also limiting when federal funds can be used for children in congregate care. While we support the goals of H.R. 5456 to reduce reliance on congregate care and provide states the ability to utilize federal funding for prevention services, we are concerned that the legislation, as drafted, will have a number of unintended consequences. The discussion draft that was released last fall avoided many of the pitfalls of H.R. 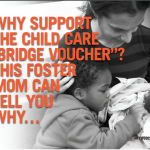 5456 by supporting a broader set of services for children both inside and outside of foster care. Narrowing the range of services and limiting those services only to children outside of foster care actually creates dangerous incentives and may result in children being provided less support than they would otherwise be eligible for under the current statutory scheme. We are particularly concerned that the structure of the Family First Act will inadvertently render tens of thousands of children ineligible for foster care maintenance payments and subsidized guardianship assistance in exchange for a very narrow set of time-limited services. 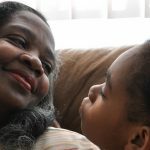 Under current law, children are only eligible for federal foster care maintenance payments and subsidized guardianship payments when the child has been living in the home of removal in one of the six months prior to the removal petition being filed. 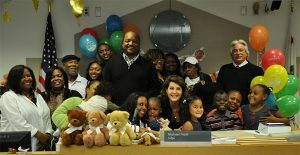 The Family First Act allows for a family to receive time-limited mental health, substance abuse or parenting training in order to avoid a foster care placement and further allows for the child to receive these services either in the home of a parent or guardian or in the home of another family member. We applaud efforts to increase support for children in kinship settings, but in this instance the support provided could ultimately result in these kinship families receiving less support over time. That is because if the time-limited services provided to the family do not allow for the child to be safely returned to the home of a parent and entry into foster care becomes necessary, the child’s eligibility for federal foster care payments has been severed because the child has been out of the home of the parent or the guardian (i.e. the home of removal) for six months. In this way, the Family First Act sets up a perverse choice between supporting children, in a limited fashion, who can be kept out of the foster care system at the expense of supporting that same child if he later needs the protection of the child welfare system. 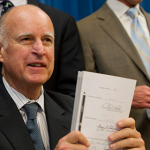 To read more about the concerns of California child welfare advocates with H.R. 5456, please see the letter we submitted to the Senate Finance Committee here. This entry was posted in Legislation, News, Policy Matters, System-Wide Reform and tagged federal, fostercare, Policy. Bookmark the permalink.